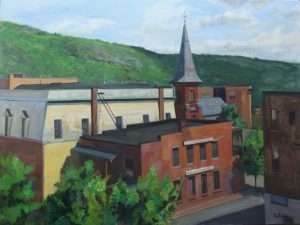 Ralph DeAnna has lived and painted in Brattleboro since 1988. He has worked in many genres, landscape, still-life, and portrait, and has even invented his own genre, time paintings, which often includes people, cars, and cityscapes seen at night. 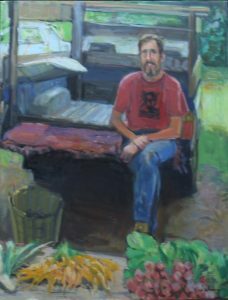 His current exhibit at River Garden, Ralph DeAnna: 1990-2010, features work with a variety of approaches and subject matter, an overview of twenty years of experimentation and growth.